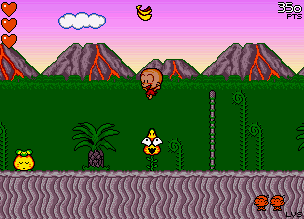 Bonk's Adventure was ported to the Amiga by Factor 5, more recently known for the Star Wars: Rogue Squadron series of games. 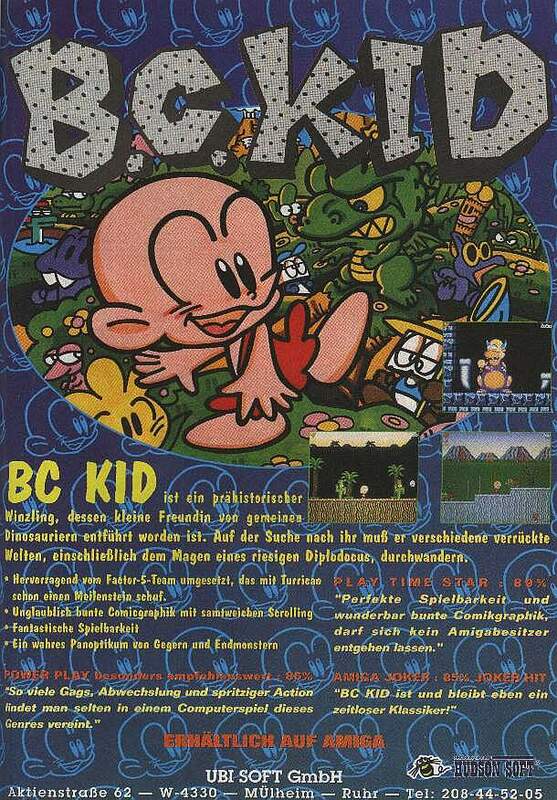 Though the Amiga had many platform games, B.C. Kid is generally regarded as one of the best. 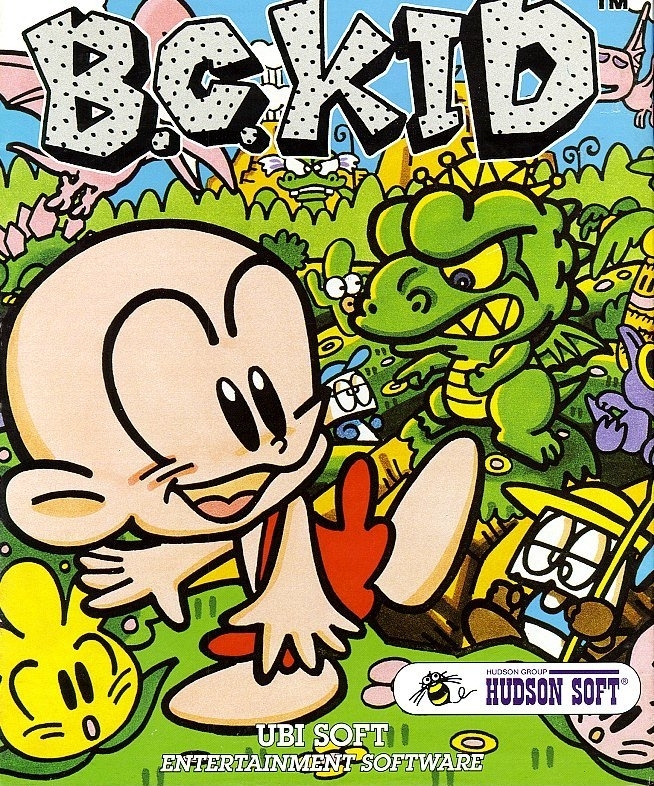 Though it features an all-new soundtrack, this game is a fairly direct port of the original TurboGrafx-16 Bonk's Adventure. 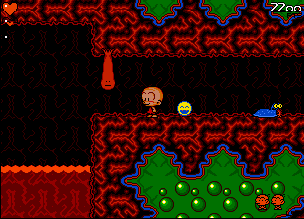 Factor 5 provides three of their old Amiga games for download, including B.C. Kid! 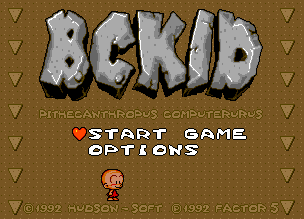 Select OPTIONS from the title screen. 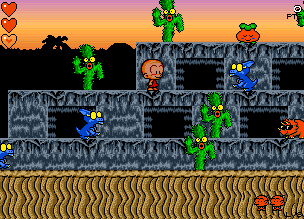 On the option screen use and enter the following sequence: Up Up Down Down Left Right Left Right then begin a game.